...you'll enjoy elegant country breakfasts, as wonderful to look at as they are to enjoy. Breakfast is also served in The Solarium, and - season permitting - on The Rand House's grand front porch, fully screened and overlooking the lawns and the croquet court. 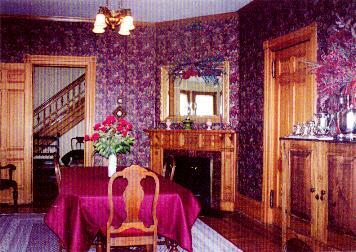 For questions regarding this site, please contact Webmaster at The Historic Rand House Bed & Breakfast.